Large crowds turned out on a rainy morning to pay their respects to Leo Stokley, of Murfreesboro. He died Sunday at the Waters of Cheatham in Ashland City. He was 69. 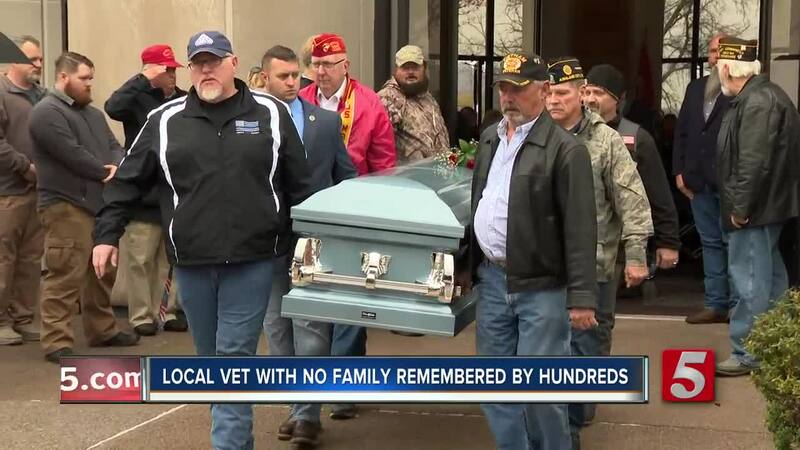 After his passing, he had no family to attend his funeral -- that’s when the community stepped in to make sure he wouldn't be buried alone. "It's very heartwarming to see this many veterans and friends of veterans that show up here on a cold rainy day, a weekday to send him off in style. I'm proud for that. I'm proud for these guys that did that." said Bob Counter, an Air Force veteran.